Don't steal my titles. This isn't a concpet, it's a self-created loading screen. In all fairness, it is a misleading title. But you didn't come up with the idea of making a map concept. Unless you mean because of your map, but even then if this was a map concept of his own about it (this is not really related to what he posted) he would have to name it that. In this case he shouldn't have though. SO WHAT SHOULD I CALL THIS POST??? OR you can call it the same thing and design a full out concept, that'd be impressive. Lets give @madgaz182 a bit of a break, to be honest, he is creating topics and getting people discussing the game (current maps and DLC maps). I'm all for that as long as it's with the CoC (Code of Conduct) I haven't got an issue with it. With thousands of topics on here, it is extremely possible to have topic titles very similar considering the niche game we all play. First of all, you can't steal titles when a thread is stating a concept. I didn't know you made claim or copyright to that particular word. Second of all, it IS concept - moreso, concept art made by a fellow Zombies fan. He took information from the DLC preview trailer, and designed a mock up of what the loading screen would look like in his own eyes. Or did you forget what the word "concept" means? Third, reduce that tone of yours friendo. No need for the slight attitude in your post. We're suppose to converse with others in a friendly manner, not hop into someone else's thread and tell them what they can't do (especially if they're not breaking the CoC). This is a great loading screen artwork, but it's not a map concept. It's nothing compared to something BHS, NMV, Myself, or anyone else would have created with immense detail and dozens of new gameplay mechanic ideas. Furthermore, don't talk tone to me if you've just written a very hostile paragraph towards me, kinda loses it's meaning if you don't practise what you preach. Hey hey guys chill out. We all know my map ideas are best so lets not argue! Cool looking map, madgaz. I like the themes. Ahem.. I believe we all have equal map concepts Although mine are superior, So lets all have equality right? Can't help noticing the one thing that my maps have that nobody else has that makes them the best... The Model 1887, I win. My concepts have one thing that nobody else have. You two up for some friendly competition to see which one's right? I'm up for some competition. Must be a completely original Idea, it must be completed by this time: 1:00PM EST next week. No outside help. Visual aids are allowed but not necessary. Organisation will not be judged, only the actual concept of the map it's self. You have the ability to design a single DLC. You can include MP maps, but it will not get you extra points UNLESS the maps somehow link back to your zombie map. You can have more then one zombie map in your DLC, although, you have a MAX of a large and a small map. A small map being no larger then der riese, and nothing more complicated then the beacon easter egg in the giant. Having a second map doesn't earn you more points either. Participants don't get to judge so anyone up for that? You have a week. GO. I will but not like straight away. I say we should do this and have a date we gotta present them by, like when Der Eisendrache comes out for PS4. Now in the interest of not derailing this topic any further, we should probably take it to PM's. Not sure why we haven't ever done anything like this before, its an awesome idea. I'm really hoping that the loading screen isn't still in the comic book style. It's a little overused. 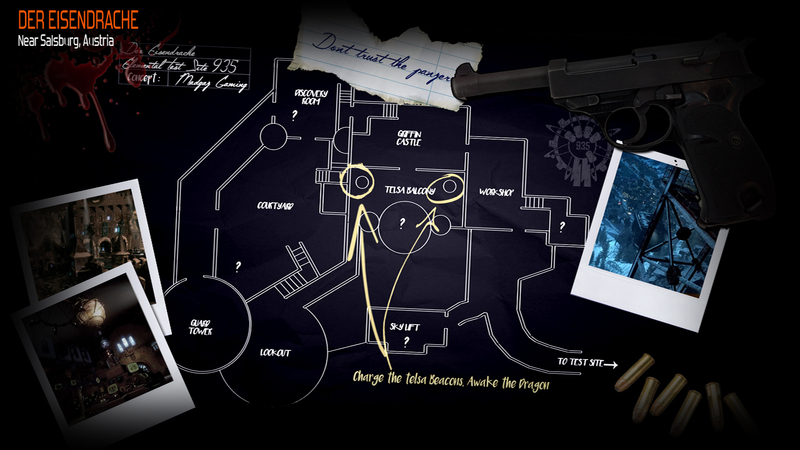 I'm thinking they're going to do an enhanced version of the loading screens from Origins and SoE. The comics had so much information for us to decipher and were cryptic. They offered us hints at what was to come and sometimes gave us a quick glimpse at the next map. The ones from Black ops 2 Minus the Nuketown loading screen were just copy and paste from the intro cutscene which was disappointing. Personally I love the comic book loading screens. Hoping for more in future maps. thanks for finally saying something positive about madgaz and backing him up. he brings new ideas and honestly means no harm and does not try to break the effin CoC dude. I won't refrain from saying that the majority (right, not all - this thread, for example) of what he posts is scarcely more than what's in the description section below his videos on YT. I like this loading screen idea. I like the old map or comic book loading screens from bo1 more than the new MotD, Origins and SoE ones.